NEW YORK -- Martin O'Malley will announce a new set of standards for trade agreements negotiated by the United States on Friday, which he would uphold if elected President and would encourage other nations to adopt. O'Malley's plan, which he will formally roll out at trade-focused roundtable with union members in Newton, Iowa on Friday afternoon, comes just after the conclusion of negotiations over the Trans-Pacific Partnership(TPP). O'Malley has long been a critic of the deal. In a paper describing his nine benchmarks for future, major global trade agreements like the TPP, O'Malley commits to supporting free trade agreements that "establish strong and enforceable rules for fair competition, [create] opportunity for American workers while lifting standards in our partner nations." His first requirement for trade agreements is a straightforward rebuke of the TPP: O'Malley's plan would reject deals negotiated in secret. Under the plan, agreements must also prohibit currency manipulation, guarantee environmental protection and sanction partners that violate environmental provisions of a deal. Agreements would also have to contain strong rules of origin standards and guarantee fair market entry for U.S. products. O'Malley also specifies that trade agreements must protect workers, both in the United States and abroad. "At a minimum, free trade agreements should guarantee freedom of association and the right to collectively bargain; uphold the rights of migrant workers; and prohibit forced labor, child labor and employment discrimination," the paper reads. "And for developing countries, free trade agreements should include a mechanism to ensure that labor rights and standards continue to meaningfully improve long after a deal is signed." If labor standards are violated, O'Malley's plan calls for "tariff snap-back provisions" on those countries that do not comply. He specifically demands that Vietnam, Mexico, Brunei and Malaysia update and improve their labor laws and practices before the TPP is implemented. "It's time for America to stop stumbling backwards into bad trade deals, and instead pursue a trade policy that will benefit our economy, workers, and our planet," O'Malley wrote in a op-ed in the Cedar Rapids Gazette, published Friday alongside the release of his plan. "We must learn from the mistakes of the past and ensure they do not happen again. If we don't get our trade deals right, we put the livelihoods of millions of Americans in peril." O'Malley would also support other measures to bolster the U.S economy along with free trade agreements, like raising the minimum wage, making infrastructure investments and reforming the tax code to make it harder for large corporations to duck tax requirements. Separately, O'Malley would oppose any trade provisions that would require new financial regulations be screened for their impact on trade, according to his plan. O'Malley's chief rivals for the Democratic nomination, Hillary Clinton and Bernie Sanders, also oppose the TPP. Clinton announced her opposition to the deal on Wednesday, after declining for months to take a position on the deal ahead of a finalized agreement. A spokeswoman for O'Malley said that the roll out of his plan was scheduled before Clinton decided to take a position. 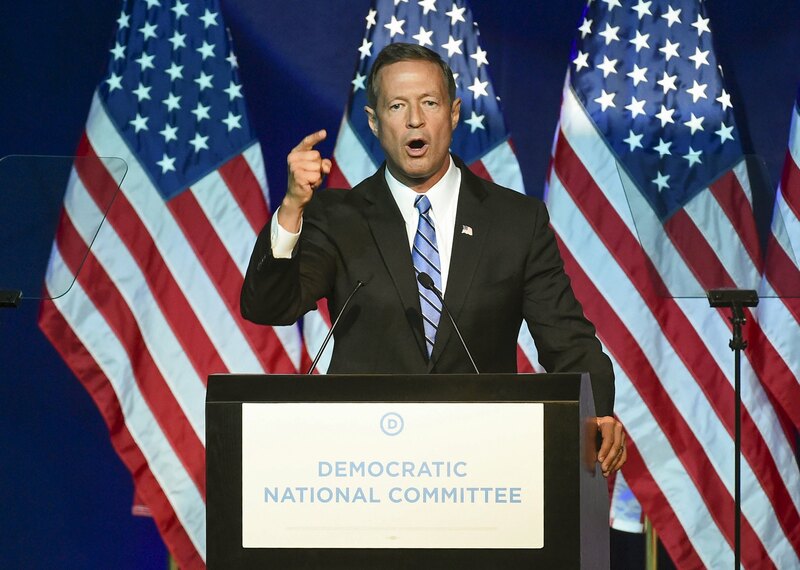 O'Malley has criticized Clinton for "following public opinion" on issues like trade, energy and immigration. "Unlike the weathervane that blows in the wind, I know where I stand," O'Malley said in an interview with Chris Hayes on MSNBC on Thursday night.